Thanks to social media, I chanced upon Dinah Jefferies’s The Tea Planter’s Wife. The blurb mentioned Ceylon and its tea plantations and I knew I had to read this one. Having lived in Sri Lanka for the last fifteen years, there is a special bond I have with this beautiful country and its tea gardens up in Hatton and Nuwara Eliya. My first excursion in Sri Lanka in the year 2000 was to Nuwara Eliya ; thereafter thanks to the long Poya(full moon) weekends or Avurudu( Sinhalese New Year), I always found myself back in the heavenly tea country. 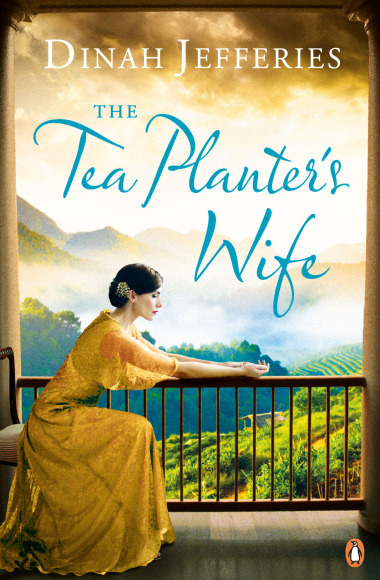 Set in Ceylon during the 1920’s and 1930’s, The Tea Planter’s Wife by Dinah Jefferies is truly a literary gem. Very eloquently, the author paints a vivid picture of the times, with subtle references to the major issues that riled the country during that period, and the effects of which influenced the history of the nation we now call Sri Lanka. The story starts in 1913, with a mysterious woman walking away from home with her baby in her arms. Gwen arrives in Ceylon in 1925, with dreams of a happily married life as Lawrence Hooper’s wife. Oblivious of what transpired before she got married to Lawrence, she starts her life as The Tea Planter’s Wife, in the sprawling tea estates in Hatton, Nuwara Eliya. What should have been an easy life turns out to be complicated, complex, secretive and violent. Lawrence’s past relationships haunt Gwen and his overly possessive sister Verity adds fuel to the fire. As each page turns, the intrigue increases. 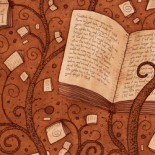 Every character complements the narrative and adds to the mystery. Deftly, the author makes all the characters reach out and connect with the readers. While on one side, Gwen’s agony and sense of loss is heart wrenching, Lawrence’s secretiveness and his association with the American widow Christina, add to the mystery. By introducing characters such as Savi Ravasinghe, the suave Sinhalese painter, the author also highlights the racial prejudices that were prevalent during that period, and shades of which can still be seen world over. Jefferies’ masterful writing style transports the readers to exotic Ceylon. The hustle and bustle of Colombo along with its colourful and contrasting culture and people, gives a fragrant feel to the story. As the characters move to the tea estates, one can imagine oneself, amidst lush green tea plantations, with tea pluckers dotting the slopes. Dinah’s breathtaking description of the tea country brings the scenic vista to life. Published in The Daily Mirror Life section 30th September,2015; Page C6. This entry was posted on September 30, 2015 by artikabakshi in Book Reviews, Fiction, Historical and tagged Ceylon, Ceylon Tea Trails, Dinah Jefferies, The Tea Planter's Wife.